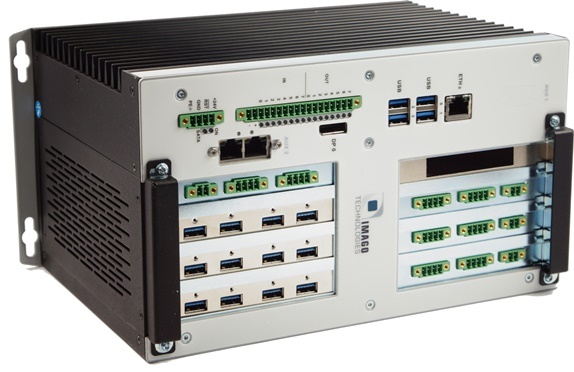 The VisionBox AGE-X SERVAL+ was invented for those customers who want to purchase an individually configured and 100% tested vision & automation computer. Therefore, IMAGO offers a configuration composed by IMAGO’s Real-Time Controller (RTCC) peripherals for up to 12 USB3 cameras & 8 LED light heads. IMAGO provides the outbound test and organizes the long-term delivery of the series product. Optional: timing reports, which show the behavior of e.g. camera trigger, LED control and I/O.